Prince George's County is the only jurisdiction in Maryland where both Circuit Court and District Court are favorable venues for Maryland personal injury lawyers fighting on behalf of injured clients. Juries in this county have historically given awards in civil tort cases that are fair considering the Plaintiff's injuries. In the serious injury cases our law firm handles, personal injury victims typically have the best chance of success in Baltimore City and Prince George's County. Opinions differ from attorney to attorney as to which of these venues is more favorable. But there is some empirical data available that suggests that Prince George's County jurors give slightly higher compensation than Baltimore City jurors. We have recovered millions more for our clients in P.G County since these verdicts. We are very comfortable asking P.G. County juries to compensate our clients fairly. Our lawyers find that insurance adjusters are more reasonable in these cases leading to more settlements without going to trial. These results are due to our track record of success and the history of fair monetary awards in this jurisdiction in general. So our settlements tend to have even higher values in Prince George's County than in other Maryland counties. Obviously, using statistics like this can be this can be complicated, as many people who live in Prince George’s County self-identify as belonging to two or more races. For example, 14.94% of the population identified as Hispanic/Latino, which incorporates those who also identified as belonging to some other race. But for our purposes- namely looking at the demographic make-up of the potential jury pool, these numbers, at least, offer a reasonably reliable snapshot of the makeup of likely jurors in this jurisdiction. But we think the take-home message is that diverse counties tend to be, for whatever reason, generally more fair to plaintiffs. So what you have in this county is educational and cultural diversity. For us, the lesson from all of this is that P.G. County is ethnically, culturally, and educationally diverse. Juries that have diversity tend to be, in our opinion, fairer in compensating victims then homogenous juries. "I went to another attorney. Three years later, the insurance company finally offered $50,000.00. I was told I should settle for $60,000.00. I thought I deserved more so I went to Miller & Zois. Six days later, my case settled for $150,000.00." "I had confidence in the lawyers at Miller & Zois from my first meeting with them. It was obvious they cared about me and my case. When the offer to settle my accident case was a little low, they filed a lawsuit and before long the insurance company settled the case for more than twice the original offer!" D.B. "When I came to Miller and Zois initially for advice I'd been with an attorney who I didn't feel was looking out for my best interests. I was so relieved to find Ron not only incredibly helpful and knowledgeable but also very supportive and not at all pushy. Both Laura and Ron were always willing to answer any questions and offer advice and opinions, all the while making certain I knew that all the decisions were mine to make. I so appreciate all the time and effort everyone put forth to help settle my case and my nerves. I don't think I could have found attorneys more supportive, direct, and who were genuinely concerned about me and my welfare." "I was involved in a car accident in which the other driver was at fault. The driver's insurance company rejected my claim and was told they would do nothing about it. After a search for legal representation, I came across Miller and Zois. They took my case and I have had no regrets since. Miller and Zois maintained interest, compassion, and knowledge when dealing with my case. The lines of communications were open throughout maintaining me up to date every step of the way. I went from an insurance Company rejecting my injuries caused by their driver to settling outside of court for a substantial amount. A thank you is a simple understatement in expressing my appreciation to Attorney Ronald Miller and his team. Once again with much gratitude." "Initially, the insurance company made a low five-figure offer to settle my case, but Bob Fiore and Sara (his paralegal) put together a solid case and ultimately the case settled at Mediation for almost 20 times that original offer. It was a long journey, but I always felt I was in the best of hands with Bob and Sara. They worked effectively with my medical providers to ensure all the medical documentation accurately told my story of physical and emotional injuries from having been rear-ended by a tractor-trailer on the Capital Beltway [in Prince George's County] on my way to work. Those injuries ended my once promising and high-paying Federal Government management career. Bob took depositions of witnesses and guided me through my own deposition. Besides being outstanding advocates, Bob and Sara showed me tremendous compassion throughout the litigation process and a genuine concern for my well-being. I can't thank them enough!" 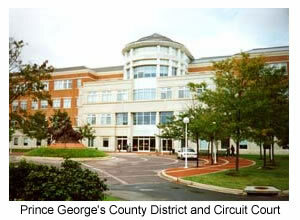 The Circuit Court for Prince George’s County does a good job getting civil injury cases to trial as scheduled. In almost every case, the trial takes place before the “try by” date set by the assignment office. The Circuit Court does a good job identifying cases that may benefit from Alternative Dispute Resolution, such as mediation. The court will assign cases to its Mediation Program. The cases are sent to one of several retired judges who will work hard to move the parties closer to settlement. Currently, the court is running a pilot program where Pretrial Conferences are done by telephone conference with a judge. This makes the court more efficient by not requiring the attorneys and parties to appear in person for a scheduling conference that typically takes only a few minutes. Hopefully, this program will expand to the entire civil docket. Because it is hard to ask our clients to appear in court when they are clearly not needed. 2018: $1.4 Million Verdict. A 35-year-old woman needed surgery to take out a laparoscopic gastric band because it was causing gastric reflux. The doctor used a visiport trocar to cut into the patient's stomach. He violated a key rule of surgery: don't cut if you don't know where you are. He hit her aorta which put her into shock. She later died of unrelated causes. Miller & Zois sued the doctor on behalf of her husband and her children. e always assumed this case would easily settle. The doctor stunned us by making no settlement offer. So we went to trial. The jury awarded our clients $1.4 million. 2015: $100,000 Verdict. A woman in the front seat passenger is rear-ended. The part at fault is uninsured, so the woman seeks to recover from her uninsured motorist policy as she has injuries to her head, neck, back, and shoulders. A judge awarded the woman $24,679.68 for medical expenses and $76,320.32 for non-economic damages. 2015: $79,000 Verdict. Plaintiff is driving a vehicle with two passengers when a vehicle next to him loses control and spins into his lane. The vehicle struck both the vehicle in front of the plaintiff and the plaintiff’s car. The three plaintiff’s sustained injuries as a result and filed this claim against the defendant alleging the failure to maintain a reasonable speed and failure to avoid a collision. A judge found that the defendant was negligent and awarded the plaintiff’s a total of $79,000. 2013: $5.5 Million Miller & Zois Verdict: A 54-year-old woman tragically bleeds to death when a nurse pulls the pacing wires out after her coronary bypass. The wires, placed to help regulate the heart rate after surgery, were improperly placed behind the woman’s heart, causing a fatal injury when removed. She left behind a loving daughter who filed suit on her behalf. The defense was "this just happens" sometimes. This might be true. But it only happens when the surgeon makes a terrible mistake. The jury awarded the $5.5 million dollars. 2013: $928,000 Miller & Zois Verdict: Plaintiff, a 30-year-old mother of four, sustains a severe and permanent ankle injury when her vehicle is struck by a woman make a left-hand turn in front of her. The Defendant was admittedly distracted when the vehicle behind her honked its horn. Without observing the Plaintiff’s vehicle approaching the intersection, the Defendant pulled forward, right into Plaintiff’s path. Plaintiff’s ankle was shattered, causing a life-altering injury. Allstate, the Defendant’s insurance company, made a disconcerting pre-suit offer of $70,000 which they increased to $140,000 before trial. No negotiating. Just Allstate dictating the value of the case. As a defense lawyer told a reporter after the trial, we were confident in our case and had no interest in engaging Allstate in their effort to low-ball our client. Thankfully, our client saw it the same way and rejected these ridiculously low offers. We proceeded to trial where a Prince George’s County jury awarded her $928,000 after deliberating less than an hour. 2012: $50,315 Verdict. Plaintiff is unemployed and in her 50s when she is rear-ended by the defendant at a traffic light. Plaintiff sustains soft tissue neck and back injuries, as well as aggravates a pre-existing neck and back injury. Plaintiff’s vehicle sustained $700 in property damage. Defendant argues that the impact was minor and could not result in any injuries. The jury disagrees and awards plaintiff $50,315 in past medical bills and pain and suffering. 2012: $20,881,082 Verdict. Plaintiff presents to Washington Adventist Hospital for a scheduled induction of labor. During the procedure, the baby’s left shoulder becomes stuck and the obstetrician pulls down forcefully on the baby’s head to get him out. The infant suffers from a left brachial plexus palsy as the nerves in his neck are irreparably damaged and require extensive therapy and surgical interventions. The infants left shoulder, arm, wrist, hand, and fingers remain permanently impaired. Plaintiff sues the obstetrician and her employer. The jury awards $53,720.17 in past medical expenses, $582,999 in future medical expenses, $244,363 in lost future earning capacity, and $20 million in non-economic damages for past and future pain and suffering. Maryland’s non-economic damages’ statutory cap reduces the award to $1,531,000. Medical Mutual was the insurance carrier. 2012: $170,467 Verdict. Plaintiff is 45 years old and owns an IT services company. Plaintiff’s vehicle is struck subsequent to a collision between two other vehicles. Plaintiff suffers from cervical and lumbar pain and treats for a year and a half. Plaintiff sues both vehicles involved in the original accident, who both claim the other was at fault. Plaintiff claims $45,000 in past medical specials and $250,000 in lost wages. Plaintiff is awarded $170,467, with all damages apportioned to only one of the two defendants (the defendant represented by Erie Insurance). 2012: $32,742 Verdict. Plaintiff is a 50-year-old janitor and part-time deli clerk. Plaintiff’s vehicle collides with a Washington Metropolitan Area Transit Authority bus. Plaintiff claims the bus driver failed to yield and squeezed her out of a merging lane. Defendant denies liability for the collision as the bus driver claims to witness the driver attempting to make a U-turn. Plaintiff sustains an aggravation of lower back radiculopathy and claims $6,842 in past medical bills and $25,900 for lost wages. The jury sided with the plaintiff and awards her what she claims. 2012: $90,992 Arbitration Award. A significant intersection collision involving two plaintiffs, a driver, and a passenger. Plaintiffs' claim defendant is the cause of this accident when she fails to stop at the intersection and yield the right of way to the plaintiffs. Sadly, a five-year-old from defendant’s vehicle died as a result of her injuries. Plaintiffs allege serious injuries as the result of the impact. Plaintiff driver claims the death of the child causes a cardiac reaction while Plaintiff passenger claims a cervical disc injury. Defendant disputes causation and the extent of plaintiff passenger’s injuries, and, understandably, frankly, Plaintiff driver’s cardiac condition. Plaintiff driver claims $28,000 in medical bills and is awarded $55,992, while Plaintiff passenger claims $10,900 in medical costs and is awarded $35,000. 2012: 45,000 Verdict. Plaintiff, a 43-year-old barber, claims soft tissue cervical and lumbar injuries, as well as aggravation of a knee injury, as the result of a rear-end accident. The Defendant admits to falling asleep and contends that the neck and back injuries may be caused by the accident, but that the knee injury was unrelated to the collision due to the mild-to-moderate speed of the accident. 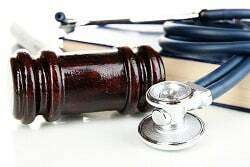 Plaintiff seeks $200,000 including $5,200 in past medical bills, $40,000 in future expected medical costs, and $15,000 in lost wages from the defendant driver, as well as plaintiff’s own insurance company. The jury awards $45,000. Western Union (25,000) and UIM (50,000 limits) is State Farm. Our lawyers handle a substantial number tort cases in P.G. County, including Bowie, Laurel, Greenbelt, Adelphi, Beltsville, Calverton, College Park, Cheverly, Landover, Lanham, Largo, Clinton, New Carrollton, Fort Washington, and Oxon Hill. We have recovered tens of millions of dollars in settlements and verdicts for our clients in these cases. If you have been injured, call to speak to one of our personal injury accident attorneys at 800-553-8082 or get a free online consultation. Personal injury claims in Washington, D.C.